Tiles lasts for a longer time, in comparison to vinyl flooring. Homeowners do not have to remodel their bathrooms often if they've used tiles for decorating their bathrooms. In terms of tile colors, the popular colors are still the same as before; white, greay and 'greige'. People seem to navigate more towards the low-contrast palettes. Porcelain tiles are the latest trend in bathroom remodeling because of its low costs and good looks. Porcelain tiles don't stain like ceramic tiles and are manufactured in various styles. Bathroom tiles with glass and other materials are also gaining momentum. The latest innovations in water-jet technology has made newer designs and shapes possible for tiles. 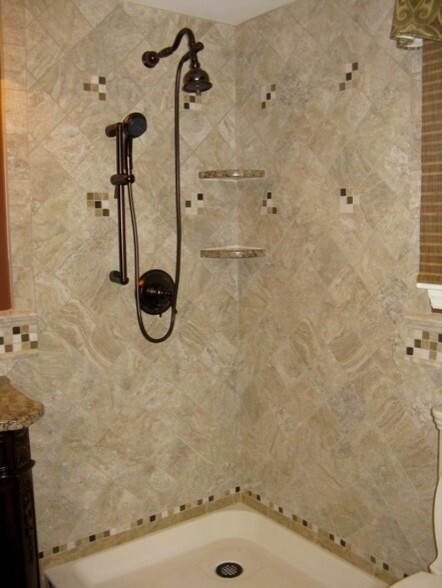 Faux wood tiles are also becoming popular on shower walls.